LOS ANGELES – The attorney whose lawsuit prompted a recall of defective Chinese tires is filing a class action today to compel Mattel to pay for the testing of children who might have been lead-poisoned by 1.5 million toxic toys. On August 14, Mattel recalled 436,000 “Sarge” die-cast vehicles from its “CARS” line that had been painted with lead paint and offered replacement products to consumers. Jeffrey Killino, of the Philadelphia firm of Woloshin & Killino, is filing a lawsuit in Los Angeles Superior Court to force Mattel to set up a fund that concerned parents could access to have their children tested for lead poisoning. The Sarge recall affected toys from Mattel manufactured between May 2007 and July 2007 in the U.S. and elsewhere, because they contained lead paint. This follows the August 1 recall of 976,000 toys from its Fisher-Price division – including Dora the Explorer and Sesame Street characters – produced by Early Light Industrial Co., Ltd, one of the American company’s Chinese contractors. According to Mattel, Early Light subcontracted the painting of parts of the toy to another vendor, Hon Li Da (HLD), also in China. Lead is especially toxic to the developing bodies and brains of children under the age of seven. Even small amounts of lead can cause irreversible injuries, including learning disabilities, brain damage, neuropsychological deficits, hyperactive behavior, which may not appear until many years after the exposure. 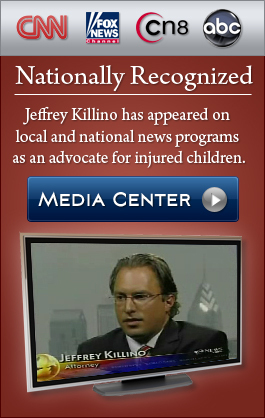 Killino has advocated for consumers affected by substandard Chinese products before. In June, a death and injury lawsuit he filed on behalf of three victims of a fatal rollover crash caused by a defective Chinese-made tire prompted U.S. tire importer and distributor, Foreign Tire Sales, to ask the National Highway Traffic Safety Administration for help in recalling nearly half a million Chinese-made light truck tire. When FTS said that it couldn’t afford to collect, replace and dispose of the tires, Killino filed a class action suit on behalf of those consumers. (Eventually, FTS agreed to recall some of the tires. The campaign was launched this month.) 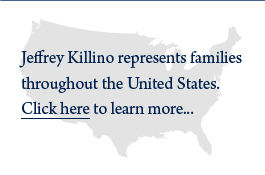 Killino also requested members of Congress to make automotive defect information public and to close a loophole in the regulations regarding importers’ ability to recall defective products.